Can I Receive SSD and VA Disability at the Same Time? It is not uncommon for military veterans to have both Social Security Disability and Veterans (VA) Disability claims at the same time. 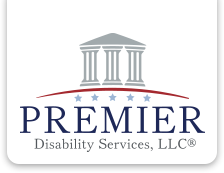 An award of VA disability benefits, also known as service-connected disability compensation, is not based on income, so you can receive VA disability compensation and Social Security Disability insurance (SSDI) at the same time. However, veterans should know that these programs, though both run by the federal government, differ in terms of eligibility, the burden of proof required, and the amount of benefits you receive. One major difference between SSDI and VA disability is that you do not need to be totally disabled in order to be eligible for VA compensation. In fact, most veterans who receive VA compensation do not receive a total disability rating. Veterans can receive a compensable rating as low as 10%, and can even have a rating as low as 0%. Social Security Disability, however, does not compensate disability claimants based on only a partial loss of employability. You are either disabled or not disabled under Social Security’s strict definition of disability. VA approval does not necessarily help get Social Security disability. In the past, if you were the recipient of a very high VA rating (70% or higher), your chances for success on your Social Security disability claim were quite good. In 2017, the Social Security Administration published new regulations saying that Social Security will no longer take VA approvals for disability compensation into account when deciding whether to grant disability benefits. In addition, written denials or hearing decisions from Social Security will no longer provide any information on whether the agency considered the VA’s approval in its determination. Social Security will, however, consider any evidence that the VA took into account in making its own disability determination. The VA and the Department of Defense (DoD) share medical records electronically with Social Security, which will use the evidence in evaluating its applications for SSDI. Social Security may also use VA or DoD evidence to expedite the processing of claims for Wounded Warriors and veterans with a 100% disability compensation rating. Social Security approval also does not necessarily help get VA benefits. If you are disabled under Social Security’s rules, the VA may not give Social Security’s decision much weight, since it’s not usually clear whether the disability is based on service-connected or non-service disabilities. Many veterans have a wide array of both types of disabilities, and the VA can be quick to attribute total disability to a host of non-service disabilities. Also, a veteran must be able to show specifically which disabilities prevent employability. To convince the VA that the veteran is unemployable and that his or her disability was caused by service-connected impairments, a veteran may need to hire a vocational expert to specifically attribute the unemployability to service-related disabilities. Although the VA will give a Social Security disability decision no special deference, the VA is required to consider Social Security records. Medical records in your Social Security file could provide key evidence for your VA claim. The VA should be provided with the entire Social Security disability file and decision; in fact, the VA has a duty to request it.